RON SWARNER: For the past week Peaks and Pints presented you with a compelling question: Who makes the best pilsner in the Pacific Northwest? And you have responded in multitudes. Sick days have been used. Friendships have fallen apart. Floor malters and Saaz growers living together — mass hysteria! PEAKS AND PINTS WEATHER GUY: My forecast calls for partly cloudy with chance of snow showers along Ingalls Creek Trail in the Alpine Lakes Wilderness. Hi around 35. Chance of precipitation 20%. I definitely have a secret Pinterest board dedicated to my sandwich cheese thefts. Probably should let Peaks and Pints HR in on this one. RON SWARNER: Probably. 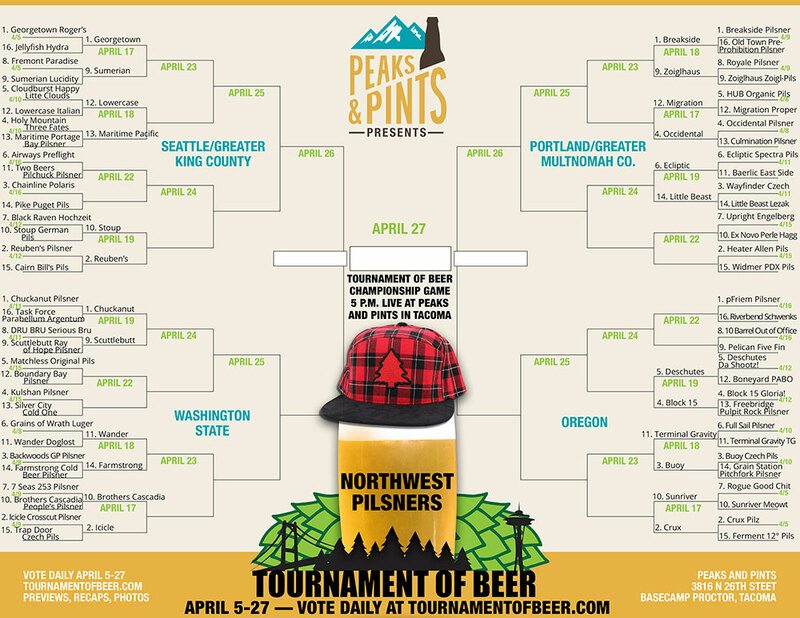 The Tournament of Beer: Northwest Pilsners hosts competitions Monday through Friday up to the championship game Saturday, April 27 live at Peaks and Pints bottle shop, taproom and restaurant in Tacoma’s Proctor District. Without further ado, let’s take a gander at today’s games. Eight new pilsners go at it. It’s in your hands, mouth and stomach, folks. Do us proud. 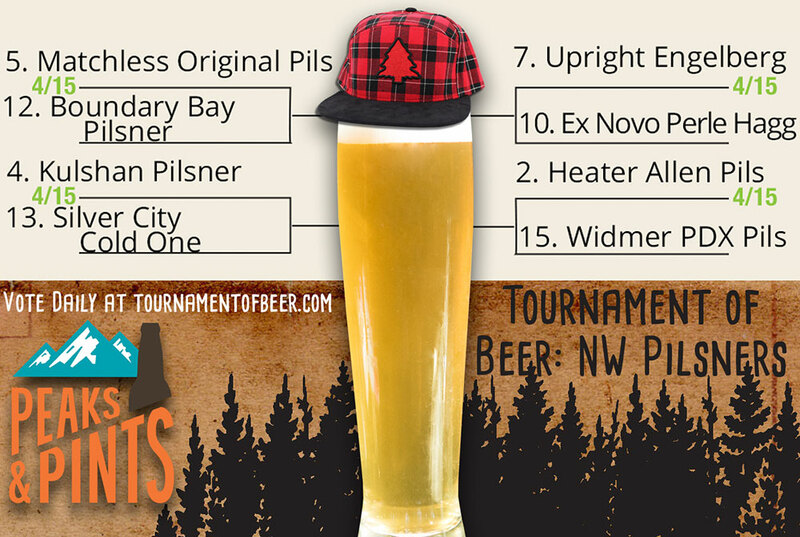 Vote for one pilsner per game (one IP address per person thanks!). Voting for today’s pilsner battles ends at 11:45 p.m.
RON SWARNER: Award-winning brewmaster Patrick Jansen — who helped lead Three Magnets Brewing Co. to prominence — opened Matchless Brewing June 24, 2017, with Grant Bolt, and quickly built a reputation for its wide variety of top notch beers. Shortly after opening, Matchless brought home five medals at the Washington Beer Awards. The brewery reached its production capacity of 2,000 barrels in the first. It’s rare for a craft brewery to excel, and win awards, for all beer styles. Matchless does. 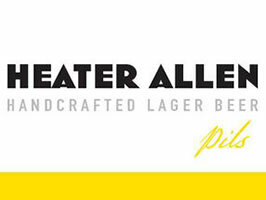 Their Original Pils is take on a classic German pilsner. They step-mashed 100 percent Copeland Pils malt from Skagit Valley Malting, then used Calista and Saphir hops in the finish for a clean, crisp and classically-hopped pilsner. Like all of their lagers, they hold the beer cold for four weeks then release it unfiltered. PEAKS AND PINTS WEATHER GUY: My brain hurts when I chat with brewmaster Pat Jansen. 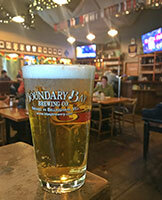 RON SWARNER: Boundary Bay Brewery is the oldest craft brewery in Bellingham. It is the creation of Ed Bennett, a University of Washington alum who went on to earn his Master’s degree in winemaking from UC Davis before landing in another small college town, Bellingham, to begin exploring his new love, beer. In 1994, he signed the lease for the Thomas Burns building at 1107 Railroad Ave. to begin building Boundary Bay Brewery. 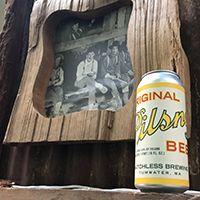 The brewery’s Bohemian-style pilsner is brewed with continental and Skagit Valley malts resulting in a super clean, medium bodied dry lager with a big floral nose. The Flavor follow the herbal/grassy/spicy line with subtle bitterness and a classic Pilsner malt backbone. PEAKS AND PINTS WEATHER GUY: Dude, Boundary Bay will shut down the alley behind them Saturday to host Cedar Dust Alley, as mountain bike festival. That’s rad. 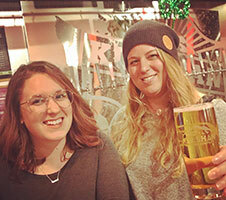 Kulshan bartenders Caitlin and Angie have your pilsner. RON SWARNER: For the past couple years, when a mention of Bellingham breweries awards comes up, there’s always a discussion that starts with “Kulshan, again?”, but even though the rest of Bellingham’s growing craft beer scene is pretty damn awesome, the stamp that Kulshan Brewing has put on Bellingham can’t be denied. The brewery’s German-style “Pilsner” grabbed a gold medal at the 2017 Best of Craft Beer Award and a silver at the 2018 Washington Beer Awards, no doubt for its traditional clean and bready malt flavors supported by herbal, floral and slightly spicy hop aromatics and flavor. With a medium body and a dry finish, Kulshan Pilsner is going to be hard to beat. PEAKS AND PINTS WEATHER GUY: Kulshan is another name for Mount Baker, the 10,781-foot active glaciated andesitic stratavolcano that soars above Bellingham. It’s also the name I’ve given my favorite pair of salmon-colored slacks. PEAKS AND PINTS WEATHER GUY: According to Silver City Brewery’s website, “when you look west at the Olympic Mountains you’re looking right at the ‘Silver City.’ It’s the convergence point that rests between the city life of Seattle and the wild adventure of the Olympic National Forest and the Pacific Ocean beyond.” Quilcene? RON SWARNER: Upright Brewing owner and Brewmaster Alex Ganum opened his brewery in the basement of Portland’s Leftbank building in 2009. Since then, Upright has made a name for itself brewing Belgian-style saisons as well as pushing outside the boundaries of what a standard Pacific Northwest beer tastes like. Engelberg Pilsener helped start the wave of well-hopped pilsners in Portland. Using Tettnanger hops and a classic yeast strain chosen specifically for this beer, the Engelberg hits the palate with firm, appetizing bitterness while remaining light and delicately balanced. PEAKS AND PINTS WEATHER GUY: It’s like a New England IPA without the haze, or the esters, or the citrus hoops, or the dry hopping punch. RON SWARNER: Since opening in 2014, Ex Novo Brewing’s mission is to contribute all — yes, all — of its profits (that don’t get redirected to infrastructure improvements, which is not code for lining any pockets) to its four primary nonprofit partners: Friends of the Children, IJM, Impact NW and MercyCorps. The Portland brewery’s Perle Haggard follows the traditional German style pilsner profile with sweet bready malt, straw, notes of honey, floral and earthy with a noble hoppy crisp finish, refreshing. PEAKS AND PINTS WEATHER GUY: At least it doesn’t taste like Okie from Muskogee. RON SWARNER: Beer is a family business for Heater Allen, a lager brewery that opened McMinnville, Oregon, in 2007. “Heater” is Rick’s wife Jan’s maiden name, and “Allen” is his last name. He figures that you should always give your wife first billing. While Rick has little German heritage on his side of the family, most of Jan’s family is of German descent. Their daughter, Lisa, who works for the brewery, is a true Heater Allen. In 2009, Lisa left a career in the wine industry to join her dad’s two-man crew. Since Lisa came on the scene, Heater Allen has grown from a six-barrel to a 15-barrel brewhouse, producing a record 1,250 barrels of beer in 2017. Their Pilsner is their take of the renowned Bohemian-style pale lager that you might find in Bavaria or the Czech Republic. Heater Allen’s version is a little more golden, rounder, and a little more malt driven than many other versions. 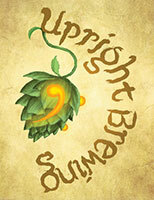 The beer possesses strong hop character that is balanced by its rich, round, malty palate. PEAKS AND PINTS WEATHER GUY: Ha! My dad did the same thing with his Wicked Leaks plumbing business! 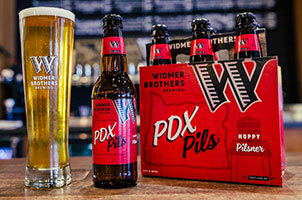 RON SWARNER: Established in 1984 as Widmer Brewing Company, Rob and Kurt Widmer’s joint venture boasted a 10-barrel brewery handcrafted from scraps. The brothers sifted through a library copy of Oregon Names in search of a name for their brewery. They decided to incorporate their last name only after a friend suggested they look around the world and see that most of the breweries with 100 years of heritage or more had family names on them. Their 2016 Oregon Beer Awards gold medalist PDX Pils is a Northern German style pilsner brewed in the northern part of Portland. They dry hop the pilsner with Columbia hops. Graham cracker, lemon zest, and mild hop spice complement the bitterness making PDX Pils crisp and refreshing. PEAKS AND PINTS WEATHER GUY: Their first tanks came from a junkyard: remnants from a nuclear power plant that failed to get licensed.